Drive connects via USB. Works with Windows, Mac, and Linux. Reads/Writes CD, CD-R, CD-RW, DVD, DVD-R, DVD+R, DVD-RW, DVD+RW formats. Item includes: DVD drive with attached USB Cable. 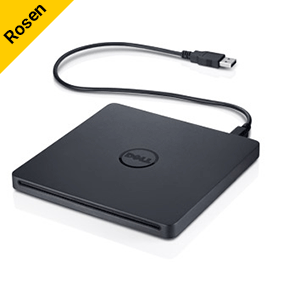 There are Dell USB External DVD+-RW Drives available for checkout.